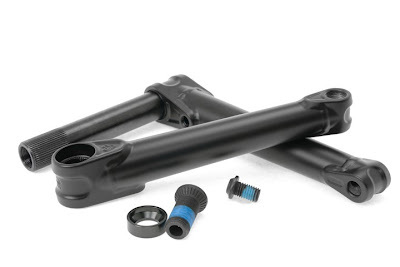 The new 2 piece Onyx cranks from Eclat. Looks to me like they have investment casted the pedal and axle bosses, but apart from that, it looks like it has the same 22mm axle as the Eclat Tibia cranks. A strength improvement maybe? Who knows, until people actually start riding them? Expected to be in the shop around the 7th July 2012. 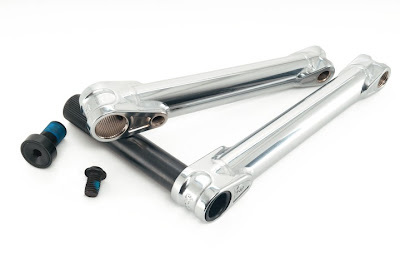 Available in either black or chrome, these cranks will set you back £159.99.